Estwing ball pein hammer 16oz. Perfect for steel erectors and metalworkers needing to rivet, shape and straighten unhardened metals. The ball pein hammers striking face can also be used for common tasks such as striking punches and chisels. 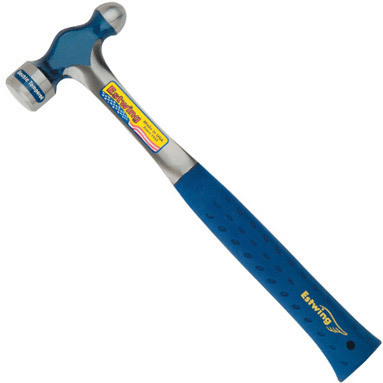 This ball peen hammer is solid forged in one piece of steel to offer maximum strength and increased durability.